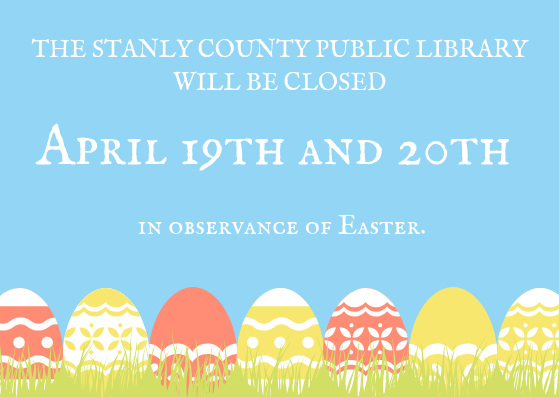 The Stanly County Public Library and Stanly County History Center will be closed on April 19th and 20th in observance of Easter. 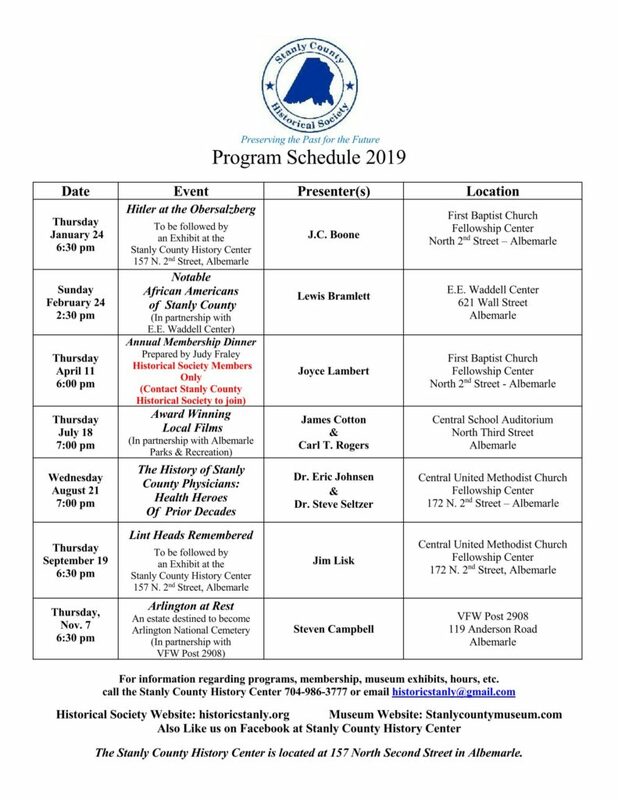 The Historical Society of Stanly County has released their 2019 Program Schedule. Click on it to learn more!